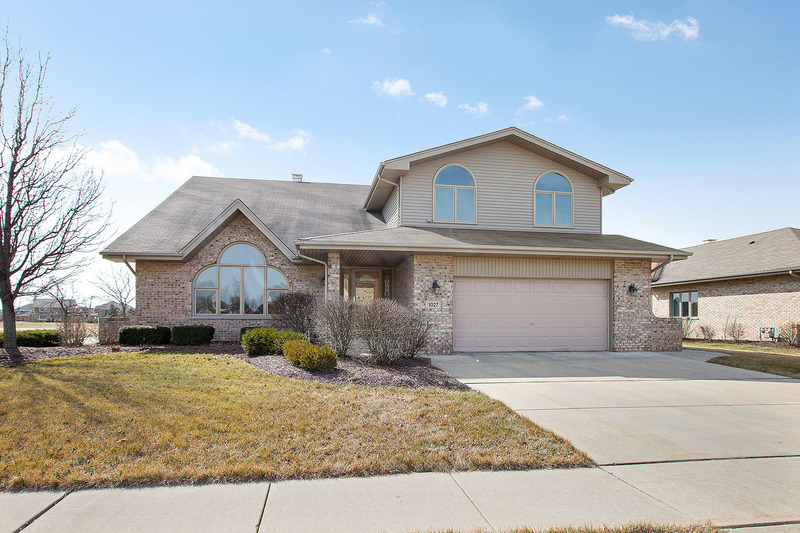 Exceptional, impeccably maintained, 5 bedroom home in prime Lemont location in highly sought after, Covington Knolls. Expansive floor plan offers generous room sizes throughout. Expertly maintained grounds with mature landscaping, large paver patio, fire pit, and fully fenced yard. Formal living room and dining rooms. Spacious kitchen with ample counter and cabinet space and separate eating area. Comfortable family room with brick fireplace. Lovely master suite with vaulted/beam ceiling. Master bath renovated in 2017 with whirlpool soaking tub, vanity with granite countertops, tile shower and linen closet. Full, finished lower level w/ room for gaming, recreation, storage and more! All new Pella windows throughout excluding front in 2016. Hot water tank - 2011. Security system in 2013. Whirlpool washer and dryer - 2012. Incredible square footage on 3 finished levels. Schedule your appointment today! SELLER OFFERING ALLOWANCE FOR GRANITE!